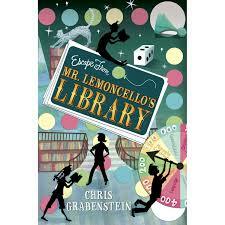 After reading raving reviews about Escape From Mr. Lemoncello's Library by Chris Grabenstein, I had to get my hands on the book and read it! I was completely engaged from the first chapter and couldn't put the book down because I couldn't wait to see how the children escaped from the library! If you love Willy Wonka and the Chocolate Factory and anything to do that revolves around books/libraries, then you will love this book! This book reminded me so much of the Willy Wonka movie, which is one of my all time favorite movies from my childhood. I can't wait to book talk it to my new students next week. This book will engage all readers who enjoy adventure, suspense, mystery, and excitement. I know this will become a favorite in classrooms and will be in the hands of many reluctant readers too. So if you have been reading all of the glowing reviews on Goodreads, Twitter, and blogs and have been putting off reading it, definitely move it to the top of your stack to read next and enjoy it! Each year, I change up my read alouds, lessons, charts, and always try something completely new depending on my students in my class. I love when things organically evolve from the students and also when I get inspiration from students to take a risk and try something new with the class. Did March Madness Book Edition with my class. This idea was sparked by a few boys in my class who were eating lunch in my classroom while we were talking about March Madness in basketball. I will continue to do March Madness Book Edition with my class this year because it was extremely popular with my students last year and was a great experience all around! Had my students use Google Drive to set up digital portfolios. Students used Google Drive for all drafting, publishing, group projects, book clubs, and more. I will absolutely start this year off with having students use Google Drive and am excited to use it in new ways too. Tweeted authors questions from students while conferring with them about their books. Students loved when the authors tweeted back about their upcoming titles, covers of new books coming out, and answered questions. Had an author surprise our class with a visit! One for the Murphys by Lynda Mullaly Hunt won our March Madness Book Edition and Book of the Year in our classroom book awards at the end of the school year. Lynda Mullaly Hunt surprised us with a visit - click here to read all about it! It was a day that we will always remember and cherish! Gave students the option of using a binder instead of only a folder to keep their drafts organized in writing workshop. Most students loved using the binder instead of a folder and actually kept all short texts, drafts, and mentors inside and organized them by using tabs. The feedback from students motivated me to have my new students this year come with a binder that will be labeled their literacy binder to keep their drafts, mentors, and short texts/articles. Since writing and reading are often connected during units of study, this will help keep everything organized during the units. Shared my Goodreads account with students during morning meetings. Every so often I showed them the books I have read, want to read, and currently reading. 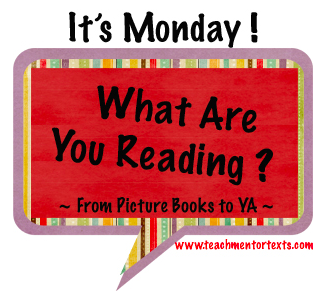 I also shared how Goodreads works and how I organize my books into categories and lists. Inputted all of my books in classroom library into Classroom Booksource. My students helped me input all the titles at the end of last year and I will use it for the first time this coming year. This way, students can check out books and I can see which books are checked out, which titles I have, and also how many copies of the title I have. Since I have approximately 2,000 books in our classroom library, this will definitely help keep track of all of the books! Had students use Animoto to create videos during our nonfiction unit and social studies units. Students loved exploring Animoto and using it to present their information to their classmates. Created a Twitter wall for students during the last month of school. Each students had a speech bubble and they "tweeted" about a question I posed on my speech bubble. As students entered the classroom each morning, they read my question and updated their speech bubbles with their new tweet. This is something I am thinking of maybe doing at the beginning of this year instead of waiting till the end of the year since it is a great way for students to get to know each other too. Enjoy preparing for the new school year! Thank you Cathy Mere and Mandy Robek for hosting this Fourth Annual Picture Book 10 for 10 Event (#pb10for10)! I love picture books so coming up with only 10 is always challenging since I have to make hard decisions to leave favorites off the list each year! To read my post from the 2012 event, click here. I love reading aloud Courage by Bernard Waber at the beginning of the school year with my students to discuss the meaning of courage and all the different ways we have courage each day as we take risks as learners. 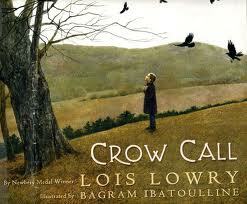 Crow Call by Lois Lowry is a powerful book to read aloud to discuss character relationships, emotions, actions, and symbolism. 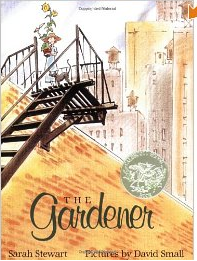 I read this picture book aloud during our social issues unit and it is one that we continue to go back into to look closely at all the text details and illustrations to deepen our thinking and understanding for the characters. 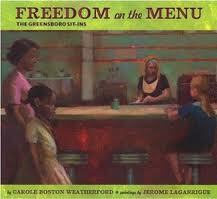 I read aloud Freedom on the Menu: The Greensboro Sit-Ins by Carole Boston Weatherford during our historical fiction unit, along with my other favorite Freedom Summer by Deborah Wiles, which I wrote about last year - love that book! Freedom on the Menu is a perfect book to model how to identify and analyze which characters have power and voice and the why behind it. This book is also filled with important objects to interpret and discuss in terms of significance to characters and symbolism. 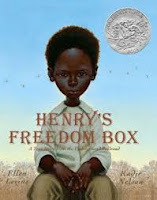 I also read aloud Henry's Freedom Box: A True Story from the Underground Railroad by Ellen Levine during our historical fiction unit. 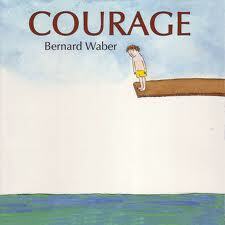 This is a powerful read that engages readers from the very beginning, especially when they know this is a true story. It leads to great discussions about the dangerous risks slaves took during that time period to have freedom and to be with their loved ones. The author's note at the end gives detailed information and facts that build onto this powerful story of the brave Henry Brown. 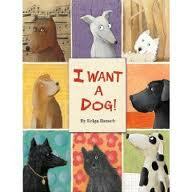 I read aloud I Want a Dog! by Helga Bansch during our character unit. 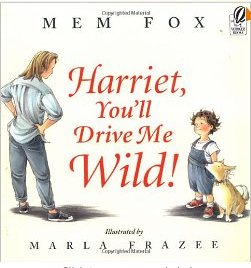 In this book, Lisa, the main character, desperately wants a dog but her parents repeatedly say no, no matter what she does or says to them. Rather than giving up after awhile, she takes the creative route and decides to post signs in the park to take care of someone's dog and be a dog walker. I love this book because it has an unpredictable solution, shows how the character is perseverant when reaching her goal, and is a great model of the "Somebody...Wants...But...So.. strategy." 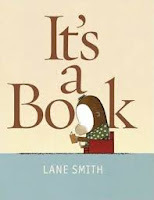 It's a Book by Lane Smith is just a fun read! I am a bookaholic and love reading an actual book, rather than reading on a kindle or other e-reader. This book is hysterical to read and kids get a kick out of it, especially when it's read aloud in two voices ( I usually have a student volunteer to be one of the monkey or donkey, while I am the other one). The students definitely connect with this book since most are very familiar with reading on electronic devices and all the technology language referred to throughout the book. 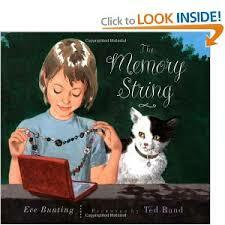 I love all of Eve Bunting's books and wrote about quite a few last year, but didn't have room to include The Memory String. This is a powerful and touching story about a young girl, Laura, who is trying to deal with the loss of her mother and a new stepmother, Jane. Laura has a memory string of buttons from her mother that she cherishes with all her heart and when something happens to the buttons, she begins to see Jane through a different lens and may begin to let her guard down after all. I read The Memory String aloud during our social issues unit and it leads to great discussions about character relationships, decisions, choices, and about the social issues the character faces. In addition to loving all of Eve Bunting's books, I also love Jacqueline Woodson's books! 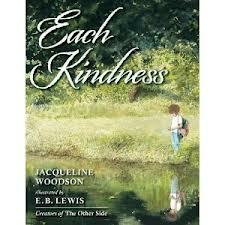 Two picture books that I love of hers are Each Kindness and The Other Side. Not only are these two picture books beautifully written, but they are also both illustrated by E.B. White. Each Kindness is a touching story about a young girl Maya who is new to a school and is not being welcomed by Chloe and her friends. Maya tries reaching out to them to play and become friendly, but continues to get rejected and teased based on her appearance. The ending of this story is completely unpredictable and does not have the "happy ending" that is in most books. 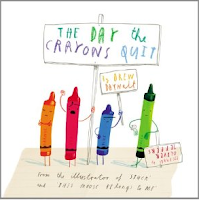 This book teaches the reader that small acts of kindness matter and that we need to always think about our actions toward others because we will not always have the opportunity to apologize or have a "next time" to act differently. I read this book aloud at the beginning of the year and refer back to it during our character unit and social issues unit. 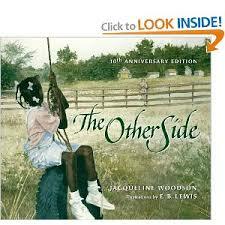 I read aloud The Other Side during our historical fiction unit because it is a powerful book about segregation and how children did not see the racial divide like the adults did during that time. The racial divide in the community and the physical separation of the fence can not stop Clover and Anna from becoming friends. This book leads to great discussions about the time period impacted the character's choices, actions, and relationships. The fence is also an important symbol throughout the book and its symbolic meaning changes from the beginning to the end. My 10th book is a repeat from last year because I love it! 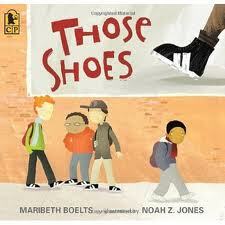 Those Shoes by Maribeth Boelts is a picture book that I read aloud each year and go back into during minilessons for reading and writing workshop throughout the year. I love how Maribeth Boelts creates strong characters that come alive for our students and that deal with similar issues our students face. I use Those Shoes beginning in our character unit and refer back to it during mini-lessons in reading workshop during our social issues unit and as a mentor text in writing workshop throughout the year. Enjoy reading and shopping for new books! Cathy Mere and Mandy Robek host the Fourth Annual Picture Book 10 for 10 Event (#pb10for10)! This is my first time participating and choosing only ten books was a challenge! Last year, Melanie Swider wrote about ten picture books that she loves to use in her fifth-grade classroom. If you are looking for books for upper elementary students, I love her list from last year, as well as her list from this year. 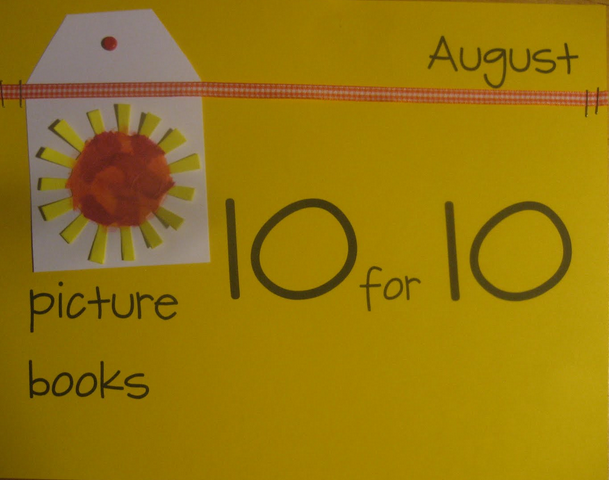 This year, I am trying to decide on my ten picture books that are must-haves in a classroom. Since Melanie Swider has the older end, I have been trying to keep my selections aimed at the younger classrooms, although I am unable to resist a couple higher level books. Starting with the writing workshop classics, I still think that When I Was Young in the Mountains by Cynthia Rylant is a must-have. Katie Wood Ray read this book to me twenty years ago at a week-long seminar. I loved it then, and I still love it now. 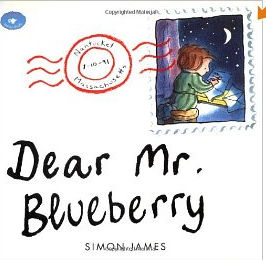 The same seminar introduced me to Dear Mr. Blueberry by Simon James. Because this book develops a plot through letter writing, it's a great mentor text for teaching letters, but it's also a great mentor for teaching about character development and voice. To this day, I can still hear the presenter's voice reading those letters. 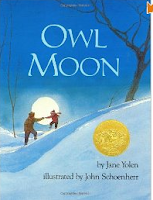 Owl Moon by Jane Yolen is another classic book that most writing workshop teachers use and it would remain on my must-have list, as a strong mentor for teaching students that wonderful stories come out of seemingly simple events. 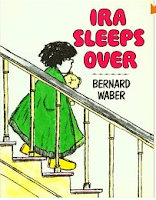 Going back even further in history is Bernard Waber's Ira Sleeps Over. This may be a sentimental choice since Waber died in May and I can remember my father reading me this book, but the voice of Ira's sister has stayed with me for more than thirty years. It's still a great book for teaching students about acceptance, as well as developing memorable characters with humor,understatement, and plot twists. Another important message for students has been talked about on Twitter so much and involves the concept of growth mindset. 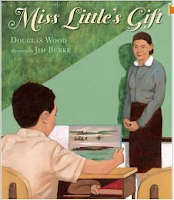 (Mindset by Carol Dweck is an incredibly important book...) I read Miss Little's Gift by Douglas Wood while I was browsing in our local bookstore. It's the only book on my list that I have only read once and don't own yet, but I liked it that much. It's an incredible autobiographical story about the author's struggle to learn to read-- a great testimony to what happens when we work hard. 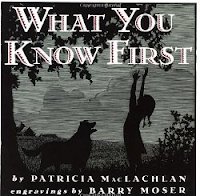 My list would not be complete without a book by Patricia MacLachlan and some of her older books remain my favorites. What You Know First remains one of my all-time favorite picture books for the imagery and beautiful language. Thinking about writing workshop and contemporary books, I love The Day the Crayons Quit by Drew Daywalt. It's a terrific mentor text for teaching opinion writing, as well as a great book to challenge readers to think of perspectives. Creativity at a VERY high level is happening in this book. 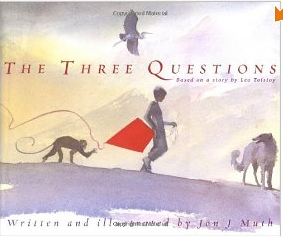 Finally, my word for the year 2013 is "present" so The Three Questions by Jon J. Muth is my tenth book. If you haven't ever read this, I highly recommend it for all ages, any time, any place. I have definitely left out some books that I love and I am looking forward to next year, when I can participate for a second time and add some other titles that are on my list of favorite picture books. I am looking forward to reading about many other titles that people choose! Over the summer, I have been reading several of the new Units of Study in Opinion, Information, and Narrative Writing that Lucy Calkins and several of her colleagues developed. Each grade, K-5, has a set of four spiral-bound books, as well as resources about assessment and samples of student work. Each spiral bound book describes a writing workshop unit of study, detailing about twenty sessions for each unit. This weekend, I have been reading the Grade 5 Narrative Craft by Lucy Calkins and Alexandra Marron. I had initially planned that this post would contain snippets from sessions throughout the entire 187-page book, but just the introduction, the authors' Welcome to the Unit, is so full of important thinking, that I am just focusing on this part of the book. Suffice it to say that the following twenty sessions are full of powerful teaching points, reflective thinking, meaningful student work, and honest struggles. "it is especially important for your students to be clear why they are telling a story so they make craft decisions with purposes in mind." "for students' levels to increase dramatically, they need to be engaged in a cycle of goal-setting, strategic work, self-assessment, and feedback." "the work that writers do each day is certainly not determined merely by that day's minilesson." "craft and revision are always driven by an effort to communicate meaning." "By keeping on-demand writing close on hand, you can help writers hold themselves to the job of making sure all their subsequent writing is progressively better." "The baseline assessment is not assessing you. It is assessing the background your children have when they enter your classroom." "the goal of any writing instruction is not to produce strong writing. It is to produce strong writers. If we teach in ways the lift the level of today's piece of writing but that does not leave writers able to do better work another day, then the teaching is for naught." Sometimes, the Common Core State Standards feel overwhelming to me, as I try to really understand what they mean across various types of writing throughout the elementary grades. However, all of the new Units of Study have increased my confidence to help teachers make the standards accessible to their students. If you are able to get your hands on copies of any unit, you will not be disappointed.